Howdy! 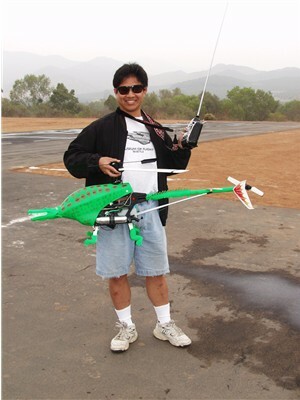 My name is Peter and this is my website dedicated to the fun and challenging world of R/C helicopters. Some of the highlights of this site are the keyword links, the pilot homepages, and a hilarious video of Heligator Hunter. The keyword links is one of the most comprehensive web directories of heli-related material around. To read about how a trip to New Orleans started this whole mess, click on the Heligator link. Check out the Synergy link for manual with building tips.